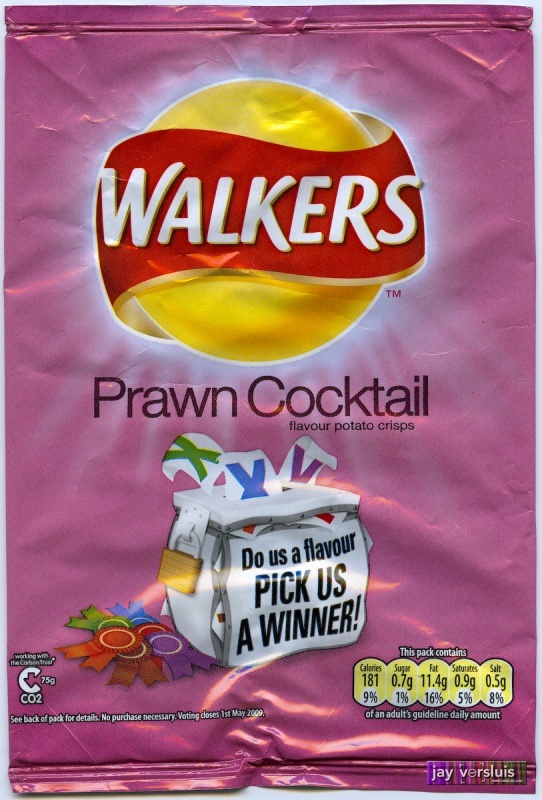 The one flavour that has nothing to do with what it says on the packet. Not even the colour. Although I like pink. Notice that the “Do us a Flavour” Edition bags only have 34.5g on the inside, cheating you out of a previous 0.5g of product. 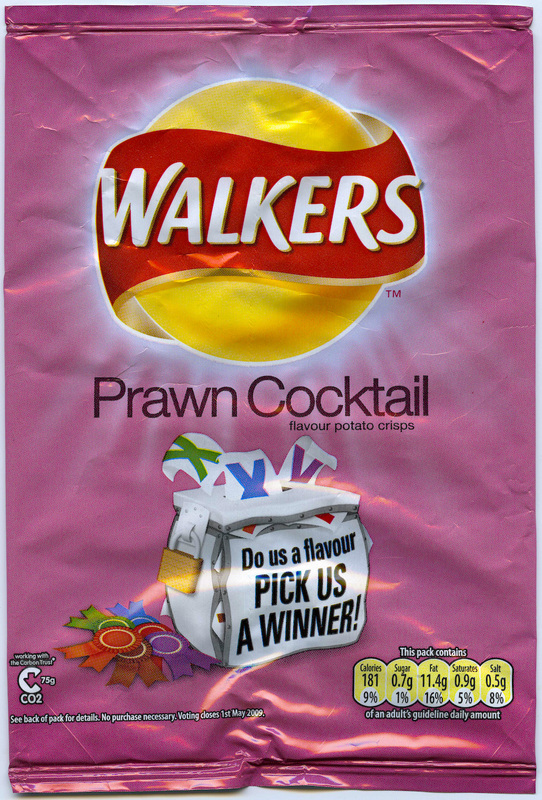 Guess now we know how Walker’s cope with the Credit Crunch.